There is no typical profile for a national UN Volunteer. Each national UN Volunteer assignment is unique, and each has its own specific requirements. 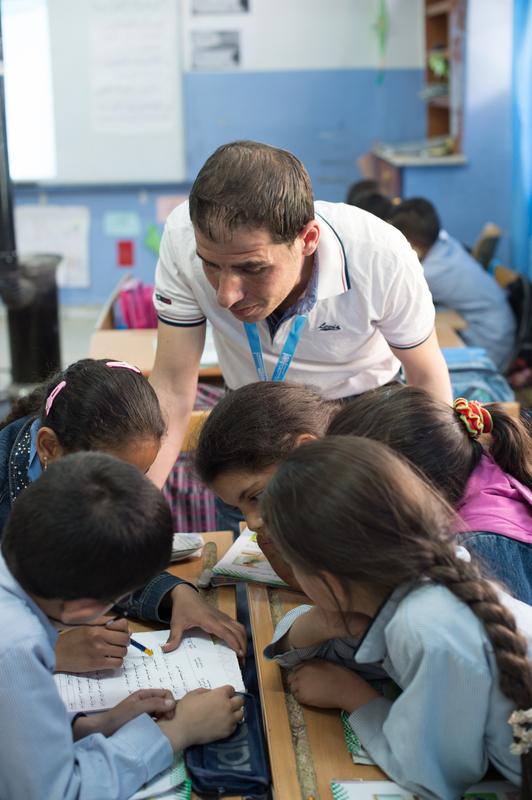 National UN Volunteers are entrusted with a wide variety of roles and their duty stations range from capital cities to small villages. The minimum age for a national UN Volunteer is 22 and there is no upper age limit. A minimal level of higher education and professional competency, and certain personal qualifications, are necessary. In addition to being available to a country’s citizens, becoming a national UN Volunteer is also possible for non-nationals residing legally in the host country with status of refugees or stateless persons (if allowed under national laws). Contact your local UNV or UNDP office to see if you qualify. The specific requirements in terms of education, age, professional qualifications and personal competencies are set out in individual descriptions of each assignment. In keeping with the principles of capacity development, sustainability and results-based management, national UN Volunteer assignments are designed as part of a coherent national United Nations programme framework and UNV programme strategy aimed at achieving national humanitarian, peace and development results. The description of each assignment will include an explanation of the linkage between the assignment and the peace and development results. All candidates undergo a competitive interview process. In the interview process, the UNV Field Unit pays particular attention to the candidate’s track record, motivation and attitude to volunteerism, as well as other personal qualities, such as team spirit and leadership, that are likely to make them successful in their assignments as UN Volunteers. The Host Agency representative will assess the technical skills of the candidate. Women and minority candidates are encouraged to apply. UNV Field Units will ensure that advertisements and application forms are accessible to women and minority candidates (e.g. not only through the internet) and that oversight measures support inclusion of applicants from marginalized groups. Nationality requirements: National UN Volunteers must be one of the following: 1) nationals of the programme country; 2) legally resident in the country or territory with the status of refugee; or 3) legally resident in the country with the status of statelessness. Age limits: To ensure the required level of professional and personal competency, the minimum age of a national UN Volunteer has been set at 22 years of age, with the understanding that candidates must demonstrate the required education level, relevant professional experience and requisite maturity, character and strengths needed for UN Volunteer assignments. Education and work requirements: A higher technical diploma, Bachelor’s or Master’s degree is required for most assignments (credentials will be requested), however community volunteers may only need a high school diploma. A minimum of two years’ relevant work experience is needed. Language requirements: All national UN Volunteers should read and write and communicate effectively in one or more local languages and be able to communicate in the working language of the United Nations in the country. Personal characteristics: UN Volunteers must demonstrate a strong commitment to the values and principles of volunteering, respect for diversity and a willingness to work in a multicultural environment. They must also be able to adjust to changing, and at times difficult, living and working conditions. National UN Volunteer assignments can be broadly categorized into four groups. Specialist volunteers: assignments requiring professional technical skills and at least a bachelor’s degree or equivalent professional experience. Community volunteers: assignments that demand a strong community presence, local knowledge and networks; these UN Volunteers often live and work in their own communities and have at minimum a high-school diploma. Youth volunteers: Youth volunteering is strongly encouraged by UNV and is part of its mandate. The UN Secretary General in his Five Year Action Agenda (2012) called on UNV to establish a UN Youth Volunteer modality. UNV’s specific UN Youth Volunteer modality is guided by a separate policy. Other volunteers: UNV welcomes experienced volunteers who may be receiving a United Nations pension or have other private means, and who are willing to forego the volunteer living allowance, but in all other respects would accept national UN volunteer terms.